It’s an honor to share with you this guest post from Shannon Young, who edited How Does One Dress to Buy Dragonfruit? 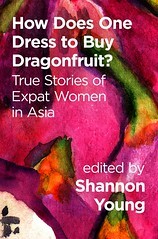 True Stories of Expat Women in Asia (Signal 8 Press), an anthology featuring my essay “Huangshan Honeymoon“. In her post, Shannon writes about her own marriage to a half Chinese (from Hong Kong) and half British man she first met while studying abroad in London. She also shares an excerpt about how they first fell in love from her new memoir Year of Fire Dragons: An American Woman’s Story of Coming of Age in Hong Kong (Blacksmith Books), which details that life-changing year she lived in Hong Kong while managing a long-distance relationship with him. It’s a beautifully written story about how far people will go for love — and the unexpected joys life can bring us when things don’t work out as planned. You can purchase Year of Fire Dragons: An American Woman’s Story of Coming of Age in Hong Kong in Hong Kong bookstores or directly through Blacksmith Books (who provides free shipping to anyone in Asia). Want to meet Shannon Young and get a signed copy of Year of Fire Dragons? She’s appearing at the Hong Kong International Literary Festival on Sunday, November 9 at 10am at Room 202, Duke of Windsor Building. Tickets are $90 to attend. You can purchase your tickets and learn more about the event at the Hong Kong International Literary Festival website. My husband is half Chinese (from Hong Kong) and half British, and I am an American. Sometimes this means we connect easily, thanks to his Western side. He’s a native English speaker, and we share a common cultural language: American movies, Harry Potter, an independent streak, an appreciation for British humor. The man at the goldfish market explains something to us in tentative English. My husband asks a clarifying question in Cantonese. The goldfish seller stares at my husband’s Western features for a moment, then laughs and unleashes a string of compliments about his fluency. My husband explains that, yes, he is half English and half Chinese (I understand this part). The goldfish seller and my husband chat for a few minutes in Cantonese (I don’t understand this part). Because he seems so Western at first, both culturally and in appearance, my husband’s Chinese side can come as a surprise. He has a strong sense of filial responsibility. He was raised in a Hong Kong family where the only acceptable career choices were doctor, banker or lawyer. He followed the common Hong Kong practice of living with his parents until our marriage (not counting the ten years he spent on his own in the UK). He has an all-consuming passion for good food: he cooks; he talks about restaurants a lot; he has strong opinions about frying pans and the right way to prepare instant noodles. This can be hard to match for an American girl who grew up on Kraft mac’n’cheese and weekly backyard barbecues. Shannon on her wedding day. On the other hand, I care more about saving face than he does. He worries that I’m too concerned about being embarrassed. He’s very good at having frank discussions and urging me to talk through problems until they’re resolved. It’s a quality that’s all his own. Living at the intersection of two cultures has made him the perfect candidate for our multicultural relationship. He is good at compromise — a nonnegotiable part of mixed marriages — and at seeing things from different points of view. I’ve learned a lot from him. As we settle into our second year of marriage, I wonder which parts of myself I’ll compromise. Will I become a bit more Hong Kong in my thinking? Will he become a bit more American? I suspect it’s both. All couples, whether we’re blending two or three distinct cultures or two families from different parts of town, have to learn how to hold on to the best parts of ourselves as we work to form new families. More importantly, we have to learn how to speak each other’s languages. People are more than the sum of their cultures. We each have our own special brand of communication. Marriage is all about learning how to speak your partner’s language, no matter where you’re from. In my new memoir published in Hong Kong this month, I share the story of how I followed my long distance boyfriend to Hong Kong and his company immediately sent him away to London. Over the course of one year I got to know the city on my own terms, which allowed me to better understand his culture — and myself. Jocelyn has allowed me to share the first chapter of my book below. It is the beginning of our love story, the story that brought me to Hong Kong. Shannon in Hong Kong, her husband’s hometown. The fire dragon trundled toward me through the crowded street. Smoke curled from the incense protruding from its long, thin body like thousands of spines on some mystical porcupine. Sweat poured down the faces and backs of every spectator. The fire dragon wound back and forth through the streets, faster and faster, dancing to the beat of drums. A wave of cheers rippled through the crowd each time it came near. The drums rattled the high-rises, the dragon danced, and the pavement shuddered under our feet. My flight wasn’t like that of Chang’e, the moon goddess who escaped her lover in a blaze of luminescence. I was flying toward mine. His gravitational field had pulled me across the sea, drawn me to a distant isle of fire dragons and skyscrapers. I’d follow him anywhere—even to Hong Kong. We hadn’t lived in the same country since we’d met, but this was our chance to be together, to build a life in the city where he grew up. “I’ll get a job wherever you live after graduation.” Our confidence in each other was reckless and optimistic, but staying together felt like the only sensible thing to do. Ben left me in Hong Kong on the eve of the Mid-Autumn Moon Festival. Instead of exploring the city with him, I was at the airport saying my goodbyes while the children of Hong Kong flooded the streets and parks with lanterns. Instead of walking beneath the Mid-Autumn moon together, we shared a fierce hug and made a hundred tiny promises. The next day, still reeling from the sheer solitude, I found my way to Tai Hang—to the incense and the drums. The fire dragon loomed, full of possibilities. The drums began. “Want me to hoist you up?” An American man stepped close behind me. He was tall, and the scent of stale alcohol mixed with the incense. “Why didn’t you just go to London instead of Hong Kong when you found out Ben would be leaving?” my friends had asked me. “You’re already moving across the world for him.” I wondered the same thing myself—now. But this was 2010. I wasn’t in a position to jet around the world after men lightly. I’d graduated from Colgate University with nearly $80,000 in student debt, debt I had taken on before the economy crumbled. Moving without a job was not an option. Employment would be hard to find in London for an English major with limited work experience and no visa. I didn’t have a chance. Jobs were not easy to come by anywhere in the Western world. My generation faced the worst job market in living memory. My college-educated friends competed tooth-and-nail for part-time barista work, borrowed more money for graduate school, and moved in with their parents. There was a mounting sense of desperation among those of us who had taken out big student loans only to discover there was no work for us in our own country when we graduated. There were rumors going around that this was where the jobs were to be found. Ben had found work in Hong Kong, his hometown. My own sister had recently begun teaching English in South Korea. So, I spent nearly a year applying and interviewing for a job in Hong Kong (and yes, living with my parents while I did it). When a local school emailed and asked me to be their new English teacher, it seemed the long distance part of our international romance, which had lasted two and half years by now, was finally done. I showed up with a work visa and a salary advance, ready to take on the city and the next stage in our relationship. Yet here I was, alone in a crowd as the fire dragon approached. I couldn’t afford to give up my new job when Ben’s circumstances changed. With a one-way ticket and a monthly student loan payment of $935, I stayed in Hong Kong. The pounding of the drums intensified. The people around me drew closer together, choking what little breeze there was. Finally, the fire dragon appeared, followed by more children carrying lanterns. I was surprised when I saw what it was really like. It had an elaborate head, made from branches twisted into impossible shapes and filled with a thicket of incense. The thin body was over 200 feet long and muscular bearers danced beneath its undulating shape. The people around me cheered as the dragon’s head passed us and then turned back on itself, leaving behind a million tiny trails of smoke. I felt a growing sense of excitement as the fire dragon whirled and darted through the streets. Its wiry, crackling body defied my expectations. It was fast. It was wild. I pushed forward so I could see better. I was a part of the crowd. I didn’t feel like a foreign girl, alone, in an interrupted romance. This was an adventure! I could do this; I could live in Hong Kong, alone. Ben and I would be together soon enough. You can connect with Shannon on Twitter @ShannonYoungHK or follow her blog, A Kindle in Hong Kong. For more information about her books, including Year of Fire Dragons, please visit ShannonYoungWriter.com. Thanks so much to Shannon for this post and lovely excerpt! Don’t forget, if you’re in the Hong Kong area this weekend and would love to have your very own signed copy of her excellent memoir, Shannon will be appearing at the Hong Kong International Literary Festival on Sunday, November 9 at 10am at Room 202, Duke of Windsor Building. Tickets are $90 to attend (purchase yours here). Oh wow. I got goosebumps reading this. This is an excellent story. I am totally buying the book! Thanks Grace! It’s such a good book. Shannon’s a gifted writer. It’s also about managing a long-distance relationship, which I’m sure you’ll relate to, Grace. I love this post! Congratulations, Shannon! I read a review copy and was mesmerized from the beginning. It’s special for so many reasons, but one thing that stands out is that the story starts with the Mid-Autumn Festival, which is my favorite holiday. It was also the time of year when I first moved to Hong Kong, so I guess that’s part of the reason it resonates with me. I so wish I could be at the Lit Fest this weekend, but look forward to seeing photos and reading all about it. Starting with the Mid-Autumn Festival really was special. And I know, I wish I could be there this weekend as well! Wow!! What a great story!! Look forward to reading the book. And congrats on having your thoughts/blurb published on the postcard, Jocelyn! You may be pleased to know that there is your namesake in Colgate and she is pretty famous as well…. Ha ha, that’s fascinating that there’s another Shannon Young at Colgate (who’s making a name in track and field)! Ah the suspense! Sounds like an interesting read so far! And free shipping all around Asia is just what I like to hear 🙂 It might be my first non-Kindle purchase in a while. It was a wonderful read, Monica. Free shipping across Asia is great for me too! Ah very exciting, can’t wait to find out what happens next. Firmly on the to read list! Wow, Shannon. Just a little taste of your story and I already am totally swept up in it. I can imagine how you must have felt, there watching the fire dragon, separated from your love in a foreign city. I’d love to buy this book directly from the publisher but I’m not seeing it on their we page. When will it be available from Blacksmith Books? R Zhao, I know that Shannon just received a shipment of her books so it should be available soon (if not now, even though it’s not up on the site yet). I’ll check with Shannon. Great chapter! so much I resonate with… and beautifully written. Shannon’s ability to show her vulnerability when faced with… life! will surely deeply touch anybody who has had similar experiences. I could not find the book on the British or German Amazon sites… will the book be available in Europe? A beautiful story. It shows various facets of the cross-cultural relationships when two people from different continents met by chance and fell in love. I don’t anticipate similar barriers comparing to a typical paring when one side is a complete outsider of the other to begin with. But I imagine an interesting story about personal growth and love is in the works. I like how the story is told. If the author can be such a good communicator, it should be a real asset in the relationship. The biggest challenge of her relationship is where to settle down with the other person. If both parties have greater mobility, the relationship can work out much easier. I got completely drawn into the story when reading the excerpt. Another book for my list. just happen to be able to speak Chinese. This relationship may not be considered as AMWF relationship…. This relationship may not be considered as AMWF relationship…….unless of course they end up having Asian looking children. @Siyac…the Brits are brilliant at figuring it out…however, it may make their life easy in the US should they decide to come to the US…especially in the US South as long as they keep their mouth shut. Suppose an infertile Chinese family living in a Western country haa adopted a white orphan and raise him as a Chinese. When he becomes an adult he met a white girl and they fell in love. Does this count as AMWF relationship ? @Sylvac..doubtful…however, a white Turkish woman professor visiting UMISS from Oregon State U with a dark skinned husband was chased and nearly beaten up by whites on the day Obama was re-elected two years ago…rioters mistook them for an interracial couple. Then there was an odd case of a near black Indian doctor in southern virginia with a near white Indian wife who was actually beaten up back in 2002, because the locals mistook him for dating a white woman. Then there is even more interesting case of an Indian couple..the guy is light skinned and the woman dark skinned who went to raise money for their church back in India in a church in TN which triggered “brother” Donny Reagan’s now infamous rant against interracial couples and babies. To everyone who wants to buy Shannon’s book, Blacksmith Books (http://blacksmithbooks.com/) will be putting her book up there on their website by Wednesday of this week. 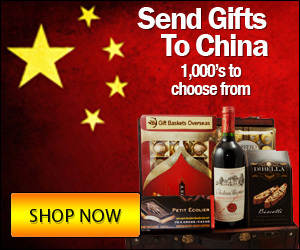 Once it’s there, you can order — and again, the shipping is free for anyone in the Asia region! Oh and almost forgot — regarding European sales, Shannon’s publisher says Amazon UK and Germany will be supplied by the British distributor, Gazelle Books, but not until January. Beautiful story, umm where are pictures of the husband? I own and read the book “Year of the Fire Dragon” and it is good. I recommend it to all. Thank you for sharing, Fred! Glad you enjoyed the book!